Made to make you look good, the Escape makes it easy to boost out your most radical moves. 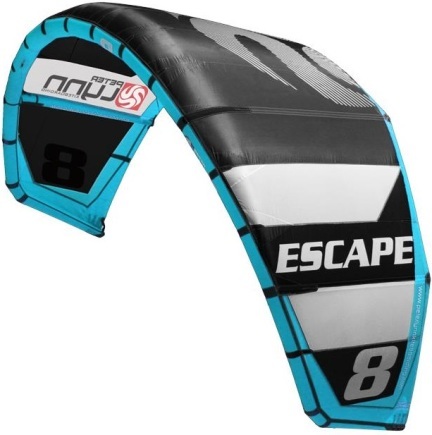 Aimed at ambitious riders who want a kite that pops hard and boosts big, the Escape is the ultimate freeride – freestyle machine that delivers its power in an intuitive and reliable way. 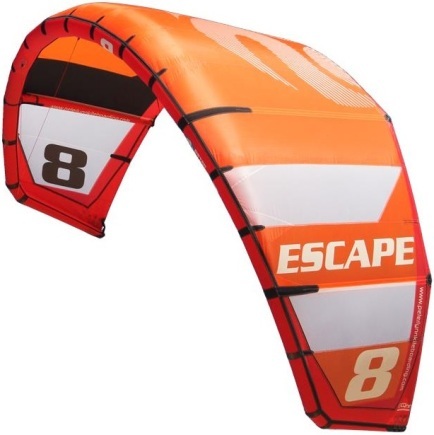 Every kite session should inspire you to push your riding while having a blast on the water, the Escape gives you the ability to progress with success. The Escape let’s you decide, fly it smooth for a lazy afternoon sesh, or whip it around for some blistering freestyle action. The kite’s stability, direct handling and controllable performance all contribute to the feeling of trust and safety when pushing yourself to the next level. Boost your riding skills with a kite that lets you enjoy every aspect of kiteboarding in total comfort, control and confidence.